City Center Las Vegas is an amazing project in between The Bellagio and The Monte Carlo on Las Vegas Blvd. Please visit my CITY CENTER LINK for more information about this incredible project. 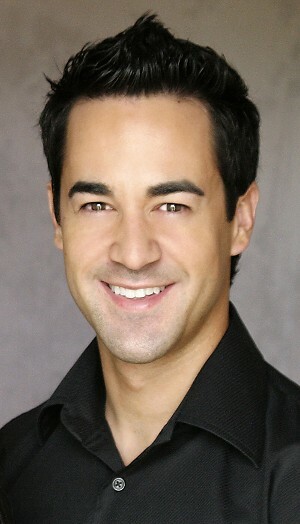 I just sold a condo at the Signature MGM condo/hotel which has fantastic views of the project. 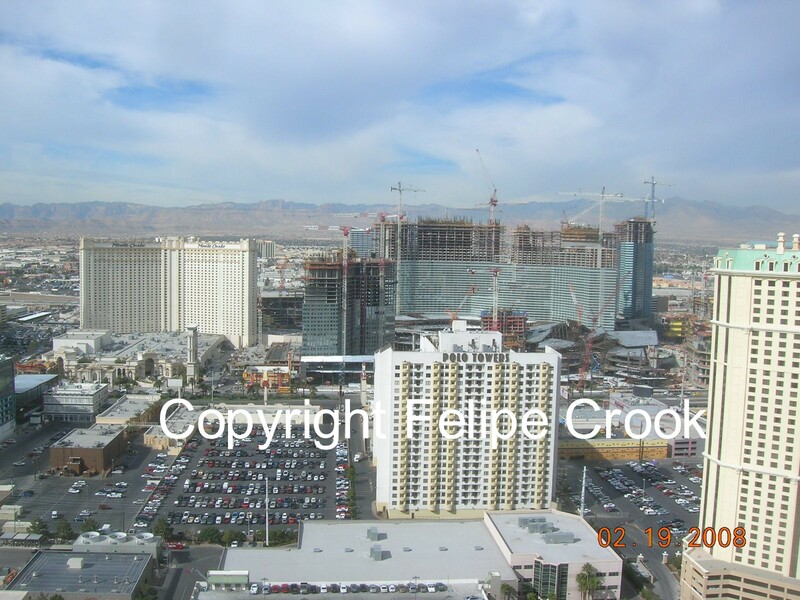 Here are a couple of pictures to show the world the progress of City Center Las Vegas. As you can see from this picture below, the main portion of the casino is half way built, Vadara is the furthest crane on the right, the Mandarin Residences is the furthest crane on the left. 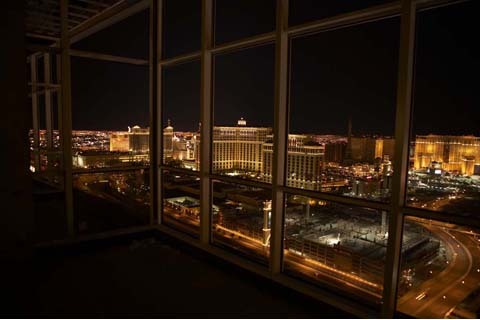 This next picture below is a partial view from the Signature MGM Residences. You can see the Marriott Timeshare project in the center and the Planet Hollywood Timeshare to the right. 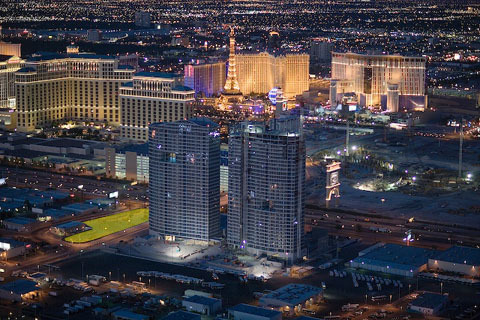 There is current $30 Billion in construction happening in the next 5 years on Las Vegas Blvd. The trend of the real estate market in Las Vegas has always been directly proportionate to the amount of construction on Las Vegas Blvd, so if the trend continues we will recover quickly from this housing slump. If you’d like a tour of City Center Sales center, please call Felipe Crook toll free at 866-589-1646 or email me for more info at Felipe@felipecrook.com I can also send you brochures of each one of the residences in City Center, so please don’t hesitate to ask for one. I just found the official Panorama Towers Video on You Tube. This is from the developer of Panorama Towers. It’s a pretty good description of the project, but the video was made before the construction of City Center. 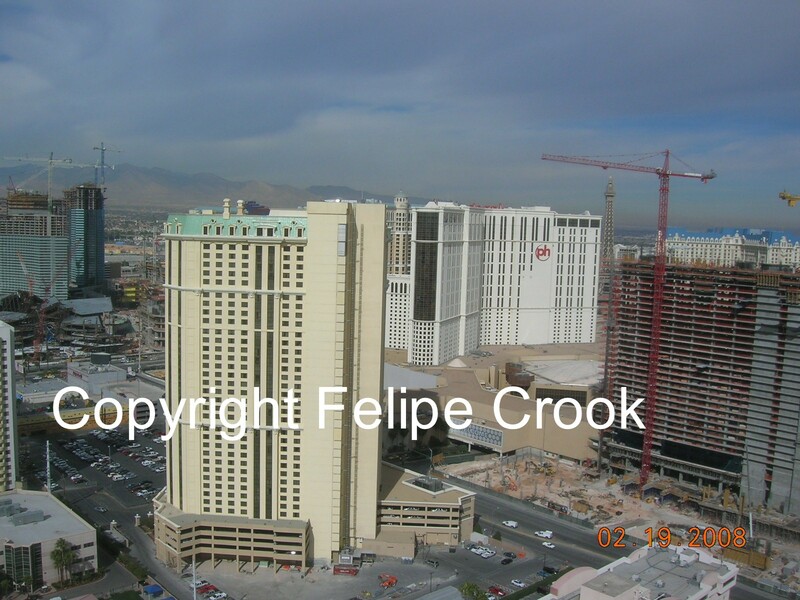 This truly gives you a sense of where the buildings are in relationship to the Las Vegas Strip. It’s a great location with amazing views. There are currently two towers that are completed, and the third tower is being constructed as you read. There are 11 new models left to sell in the third tower, but if you’re really interested I would pick up a resale in tower 1 or 2. There are some really well priced units with strip views. If you’d like more information about Panorama Towers, please contact me at Felipe@felipecrook.com or call me directly at 702-683-2169.